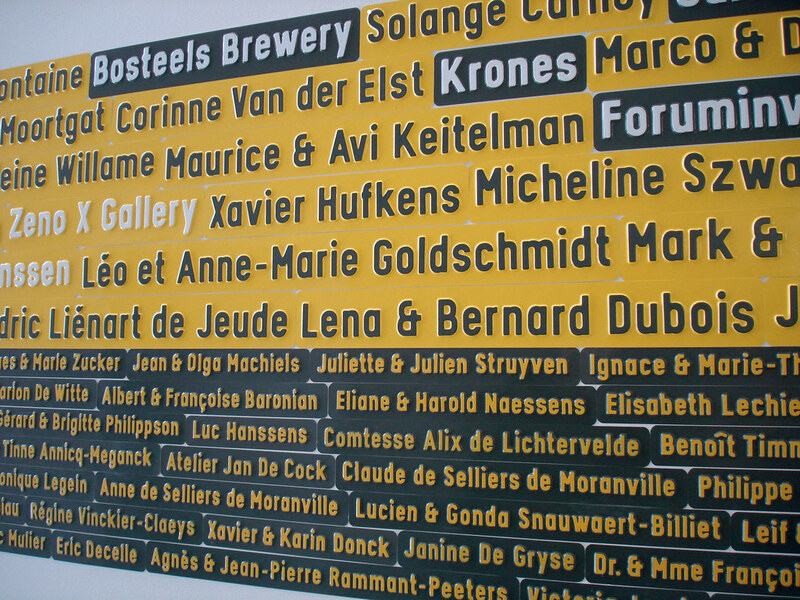 Above: Signage for Wiels Contemporary Art Centre, Brussels, made using traditional road sign printing techniques. Design: Sara De Bondt, 2008. Read our Eye 68 Q&A with Sara De Bondt on the Eye site. A one-day conference on book design curated by Sara De Bondt and Fraser Muggeridge. Look out for details about the discussion forum in advance of the event in collaboration with Eye magazine. For more information about Sarah De Bondt see the site www.saradebondt.com.